Can I Watch the RNC Convention Live? Come down from the roof my friend. 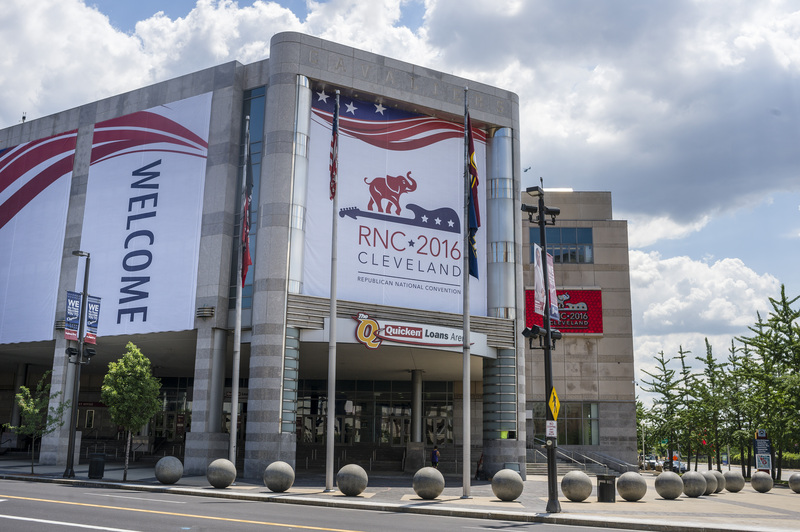 You can watch the RNC Convention live from July 18 to 21, and you have multiple options for how to do it. It’s a good thing, too, because this year’s convention will not be one to miss. After all, reality show star-turned-presidential candidate Donald Trump will be front and center at the event, and he’s stacked a lineup of celeb speakers that might make you want to watch out of more than just civic obligation. Athletes, like Tim Tebow and Caitlyn Jennerm will be speaking, as well as actors Kimberlin Brown and Antonio Sabato Jr. Not to mention that this event is all about the Republican Party, which has been splintering apart before our eyes over the last few months. Will there be a full-on brawl between speakers Ted Cruz and Mayor Rudy Guiliani? Will Reince Priebus cry? If you’re lucky enough to have a cable subscription (or are crashing with the parents), you can watch RNC Convention live coverage on all major news stations. CNN will be coming through with live 24-hour coverage of the event, and so will C-SPAN and Fox News. ABC and NBC news channels have hour specials on the convention scheduled for the evenings of the event, and you’ll likely be able to catch reporting from the convention there during the day, too. Additionally, a special partnership between PBS and National Public Radio means that live prime-time coverage of the convention will be delivered to viewers every evening from 8pm to 11pm on both PBS and NPR. As for free live streaming, the techies and millennials among us will not be disappointed. In a groundbreaking partnership, Twitter and CBS have teamed up for the occasion to deliver live digital streaming accompanied by a Twitter feed via CBS steaming service, CBSN. The PBS and NPR partnership is also gearing up to provide "live video, a live blog, a broad range of analysis, reporting inside and outside the event space... and social media updates" via their digital and social platforms, according to their press release. Another live-stream of the event can be found on ABCNews.com. What may prove to be the most fashionable way to watch the convention next week, however, is via the RNC’s fancy new app for IOS and Android. The app, geared toward delegates and at-home viewers alike is decked out with maps, schedules, and 360-degree camera views for snooping around every inch of the convention arena. Most importantly, according to the RNC convention’s website, “For those at home, they can tune in with our standard or 360 live streams and follow who is speaking and when.” So, now you can be safely assured that you will be able to view every pore on Trump’s face as he formally is crowned the Republican presidential nominee.